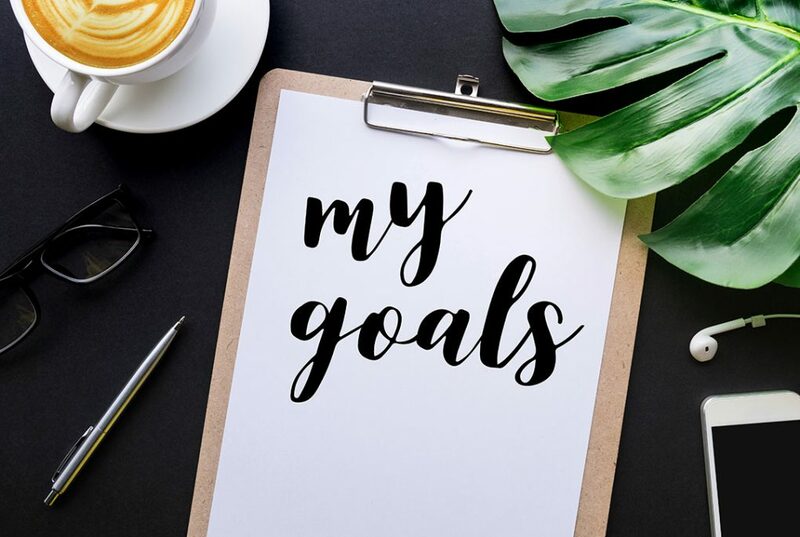 I’ve touched briefly on my love of setting goals before, but in celebration of a new year, I think it’s time to give some tips + tricks on how to be a goaldigger. I suppose resolutions in the traditional sense aren’t really my jam. I guess I don’t like how they usually go hand-in-hand with deprivation and punishment and that people tend to put off breaking bad habits until January 1st. You’ve got 364 other days a year to work toward being awesome. Use them. Each new year is an excellent time to take stock of where you’re at and where you want to be, though. It’s the making of fresh starts and do overs. Use the new year to assess current goals and formulate new one’s. Are those you were aiming for still relevant and still worth focusing on? Is it time to let go of some that only seem to hold you back in other ways? Are they outrageously unrealistic? Set clear and well defined parameters. Don’t be vague. Know exactly what your end goal is. It’s really hard to reach your destination if you don’t even know where you want to end up¹. I’d like to save some money. No. I will save $5000. Yes. I want to lose some weight. No. I must lose 50 pounds. Yes. How will you know when the hard work is over or when you can celebrate a victory if your goal isn’t actually measurable? If you set goals that are unattainable, you will only feel like an epic failure when you don’t reach them. That’s phase one of giving up. In fact, set some small and more easily attainable goals right along the tougher one’s because when you conquer the small, you’ll feel a sense of empowerment that will propel you forward to tackle the tricky. Just make sure you’re always raising the bar a bit and pushing yourself. Also, the more motivating the goal, the more likely you are to put your head down and get the work done. Are the goals you’re setting going to move you closer to the life you want? Are they going to give you the satisfaction you’re looking for? If not, you may want to reconsider giving your time and energy to them. I live and breathe deadlines and having one makes all the difference. I find that if you don’t have due dates for your goals, you’ll likely find back-burnering them quite convenient. For instance, I have a goal set to launch an Etsy shop. I’ve had that goal for years. It’s never happened because it never had a deadline. That makes it really easy for me to put everything else ahead of it and say, “Oh. Right. Etsy. Well. Next month. Maybe.” Now it has a due date of March 2nd, 2018. For the first time, I’m actually taking steps to make it happen². No. Seriously. Do it. And I highly recommend putting it where you see it often. Hell, put it in several places. When we physically write things down (instead of just typing it in our phones and calendars), not only does it make it easier to remember, but it instantly makes it real. It’s a thing…one you have to do now. Do away with all the “I’d like to…”. While you’re at it, chuck the “I might…” and the “I want…”. They’re passive. They’re suggestions, not intentions. Only “I will…” and “I must…” will do from now on. Now that is the language of a goaldigger. How do you plan to reach this goal? What are the small steps that need to happen in order for you to achieve it? Do you have the necessary tools and skills in place to help you get there? If not, how can you acquire them? Are there short term goals you need to meet in order to reach the long term one? Write down what those short term goals are. As you cross them off along the way, you’ll feel accomplished and keep pushing through. Things happen. There’s just no way around that. Constantly reassess your progress and adjust as necessary. As long as you keep after it, there is nothing wrong with adjustments. Use these tips to set your goals and let me know what they are. Go get it, goaldigger. ¹ Unless it’s a road trip, in which case, just get in your car and go. I’m always down for that. ² Of course, I’m also the sort that will be feeling the time crunch come the end of February and scurrying to make it happen…successfully. Because like Queen and David Bowie, I like it Under Pressure.